Good morning from rainy Hamburg and welcome to our Daily FX Report. The Bank of England may extend its bond buying program to save banks from a bankruptcy. The JPY rose against its most counter parts again. The GBP traded near to its lowest level in more than a week versus the USD and dropped to 1.6393. The reason therefore is that the Royal Bank of Scotland Group Plc. said it will take more state funding, because the U.K. needs that to recover from the financial crisis. In this week, the Bank of England meets to decide whether to extend its 175 billion GBP bond buying program. The U.K. said today that they will invest 31.1 billion in RBS and in Lloyds Banking for a second time to save these banks from a bankruptcy again. This bailout makes the RBS to the most expensive bank which is funded with state funds worldwide. The GBP dropped to 147.84 against the JPY. The GBP reached 0.8953 versus the EUR. The JPY climbed against 14 of its 16 major counterparts. The JPY reached 132.90 against the EUR and the JPY climbed to 90.25 versus the USD. The USD traded at the same level against the EUR like yesterday and reached 1.4724. The AUD fell for a second day against the USD to 0.9025 as reports showed that the nation`s retail sales dropped 0.2%. At the end of October, the USD recovered from its bearish trend against the CHF and traded in a bullish trend. Recently, the currency pair made a downward movement to its middle Pivot point at 1.0254. At the beginning of November the same happened and the USD recovered to its middle Pivot point. Further a crossing MA Oscillator through the signal line from below could support a continuing upward trend. 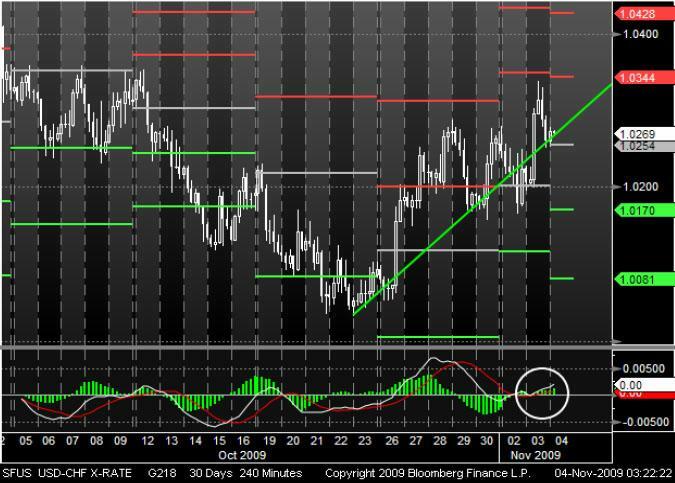 Since the end of October, the USD has been trading in a bullish trend channel versus the CAD. 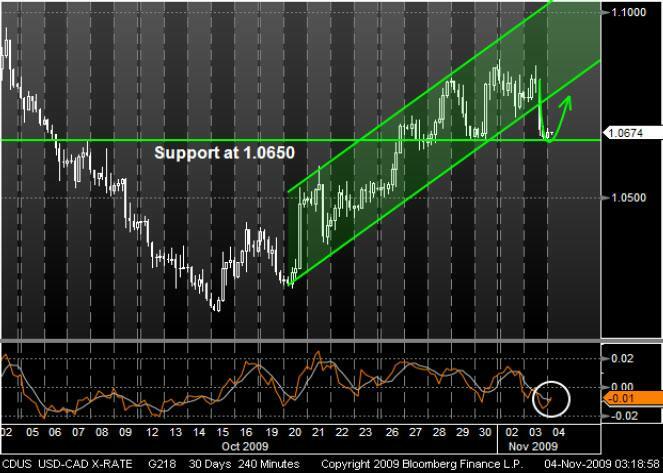 Yesterday, the currency pair left its trend channel and crossed the bottom line to its support at 1.0650. It seems that the support is strong enough like two times before but it remains to be seen if the support is strong enough for a pull back in the trend channel. Also the Momentum could support a pull back with a breakthrough of the signal line.